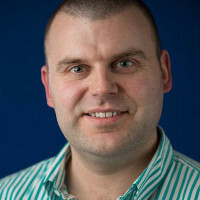 ifixdrupal.co.uk was founded by Graham Roberts. Since the year 2000 Graham has developed web applications, built tech teams, worked with start ups, founded start ups and solved an awful lot of problems. After delivering enormous, end to end projects based on the Drupal framework Graham wanted to establish a new kind of service. One that could take on the jobs that nobody else would undertake. The ugly jobs where the problems are hard to solve, where you must dive deep into complex code and where you must have an expert knowledge of the entire tech stack to successfully and efficiently resolve serious functional, performance and security related problems. Under Graham's expert guidance, that is all we do here, we just fix Drupal websites. No UI design, no marketing, no social media strategy consulting, nothing but the ugly stuff.